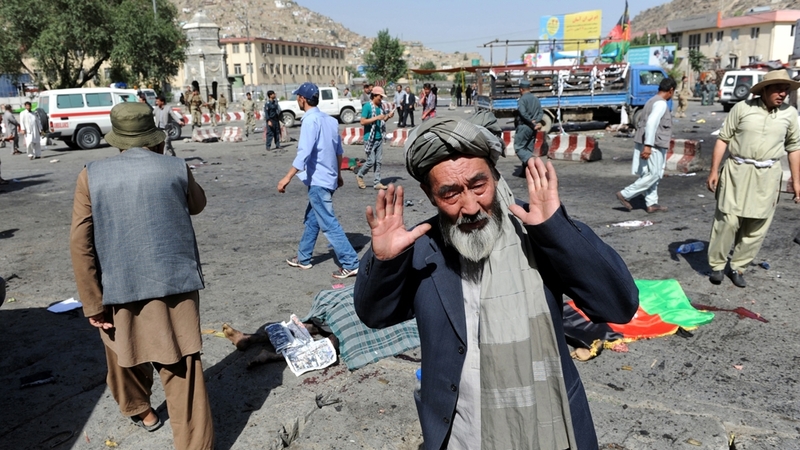 KABUL — At least 61 people were killed and more than 200 wounded in an explosion during a massive protest in the Afghan capital on Saturday, according to officials and witnesses quoted by the Associated Press. The victims and marchers were almost all ethnic Hazara Shiites, considered by the Sunni radical Islamic State to be infidels. It was not immediately clear how the blast happened. Some witnesses attributed it to explosives hidden in an ice cream cart, while others believed a suicide bomber blew himself up among the crowd.